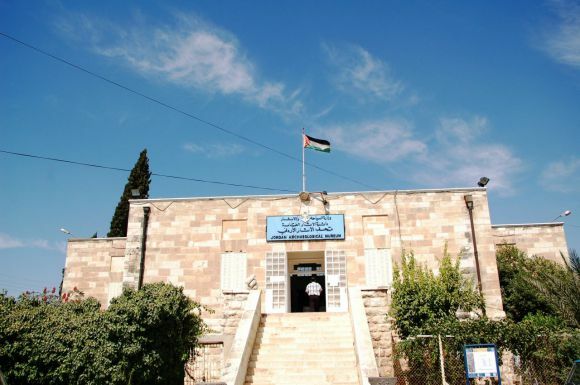 The museum was founded in 1951 by the Department of Antiquities of Jordan on the Citadel of Amman on a hill called Jabal al-Qal’a. The building has a total measurement of 525 m2 on two floors. 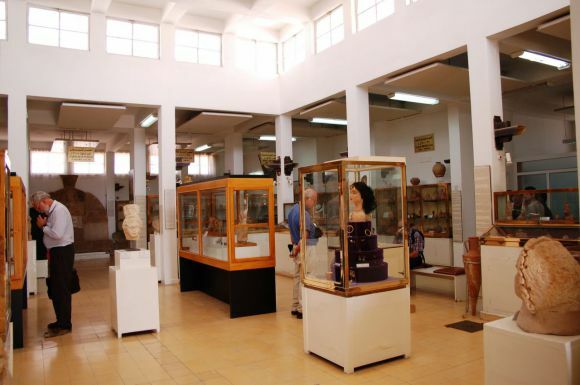 The ground floor is used for storage, and the first floor comprises the display area, which consists of three exhibition halls, and administrative offices. 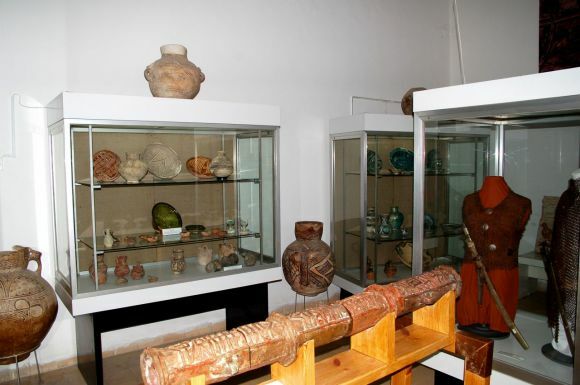 The museum holds many artefacts found in various archaeological sites in Jordan representing the path of civilization in this area throughout its long history. The extensive collection is arranged chronologically by historical periods, from the Stone Ages to the Islamic periods. The Islamic art collection is displayed in an exhibition hall in eleven showcases that consist of: pottery vessels from the Umayyad period to the Mamluk period; glazed vessels from the Mamluk period to the Ottoman period; steatite vessels from the Umayyad period; coins of all types and periods; metalwork and pottery vessels from the Umayyad to Mamluk periods; iron shields and swords from the Mamluk period; carved stones from the Umayyad period; four plaster replicas of architectural elements from Khirbat al-Mafjar Palace in Jericho (windows, lintel and a dome from the bath). Lack of space prohibits the display of temporary exhibitions; however, the museum participates in many local and international exhibitions held in Jordan and abroad to show the history and archaeology of Jordan throughout the ages. Three curators sharing the responsibility of looking after the whole collection of the museum.